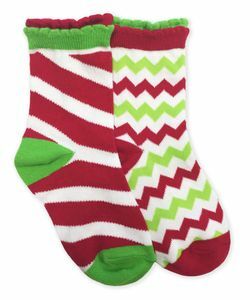 The perfect christmas socks for the holiday! Choose from 1 pair of candy cane stripe socks or 1 pair of chevron pattern socks. Double scallop top adds a fun flare to any outfit!